Alex Harris was raised in the South and lives in Durham, North Carolina. 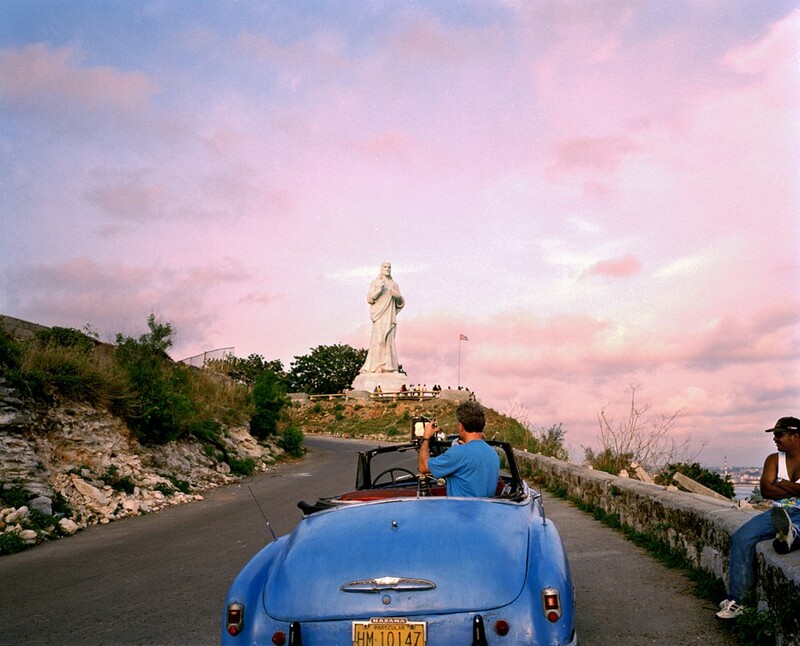 He has photographed extensively in the American South, New Mexico, Alaska, and Cuba. He is currently working on a “Picturing the South” Commission from the High Museum of Art in Atlanta to photograph on independent narrative movie sets across the South. His work is represented in major collections including The San Francisco Museum of Modern Art, The J. Paul Getty Museum in Los Angeles, The Museum of Modern Art in New York, The High Museum of Art in Atlanta, The North Carolina Museum of Art, and the Metropolitan Museum of Art. His awards include a Guggenheim Fellowship in Photography, a Rockefeller Foundation Humanities Fellowship, and a Lyndhurst Prize. His photographs have been exhibited in numerous museums including exhibitions at the International Center of Photography in New York and the J. Paul Getty Museum in Los Angeles. As a photographer and editor, Harris has published eighteen books including River of Traps (with William deBuys) a finalist for the Pulitzer Prize in general non-fiction. His book, The Idea of Cuba, was co-published in September of 2007 by the University of New Mexico Press and the Center for Documentary Studies at Duke. A recent book is Why We Are Here, a collaboration with evolutionary biologist, E.O.Wilson, and in September of 2017 with Margaret Sartor he completed Dream of a House: The Passions and Preoccupations of Reynolds Price. In 2019 Harris completed work with Sartor on another book, Where We Find Ourselves: the Photographs of Hugh Mangum published in association with an exhibition at the Nasher Museum of Art. Harris was born in Atlanta, Georgia and grew up in the South. After graduation from Yale in 1971, he photographed North Carolina as part of a Duke University research project. Between 1972 and 1978 he lived and photographed in Hispanic villages in northern New Mexico and Inuit villages in Alaska. During these years, Harris also began to commute to North Carolina to teach documentary photography at Duke. In 1980 he founded the Center for Documentary Photography at Duke, which he directed for eight years. In 1989, he was a founder of The Center for Documentary Studies at Duke. Between 1995 and 1998 Harris launched DoubleTake Magazine with Robert Coles and coedited the publication through its first twelve issues. He is currently Professor of the Practice of Public Policy and Documentary Studies at Duke. Within the Center for Documentary Studies, he is the Creative Director of the Lewis Hine Documentary Fellows Program. In 2015 Harris won the Robert Cox undergraduate teaching award in the Social Sciences at Duke.